Sweet and chic, these vintage beauties are the perfect pair of earrings to wear on a festive night out or to add spice to any outfit! 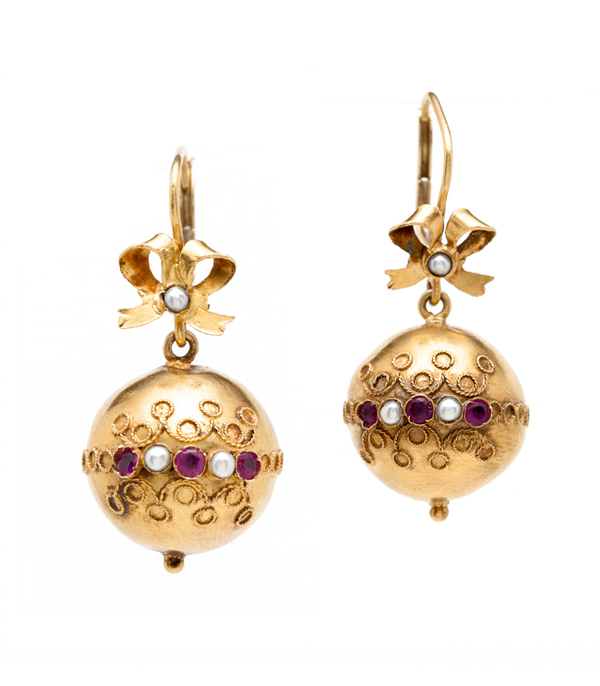 18K yellow gold Victorian baubles are detailed with ornate wire work, rubies and seed pearl accents. The hollow spheres are light in weight, but full of style. We think the bow-tie detail is the icing on the cake!